Your eyes are your window to the world. There is so much beauty and so much to see in the world that the last thing you want is for your view on the world to be distorted, impaired or at worst, non-existent. Eye surgery has come a long way in a very short time and these days there are surgeries for almost everything that can go wrong with your eyes or even just to correct vision impairment. Depending on the surgery, your experience during and after surgery will differ but one thing is for sure, in the long run, your vision after eye surgery will be clearer and you might even be able to do away with those glasses or contact lenses. 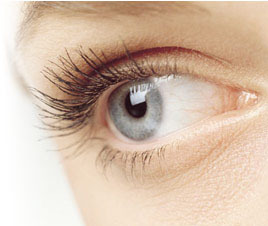 Eye surgeries are usually very safe procedures with not much chance of complications after surgery. Sometimes however, as with all surgeries, there will be a small chance of some complications to vision after eye surgery. The most common of these are those associated with all surgeries like infection, localised inflammation or reaction to anaesthetic. Usual side effects of vision after eye surgery are light sensitivity, haze and blurry vision, glare and halo effects around light sources and general pain and discomfort including headaches and sore, dry and scratchy eyes. Depending on the surgery, problems with vision after surgery are usually very temporary. In laser eye surgery, vision normally starts to return to normal after about 24 hours and within that time you should notice your eyesight to be getting dramatically better. Pain, discomfort and very dry, scratchy eyes will persist for about a week after surgery and it is recommended that you wear an eye patch or guard while you sleep. Sleep is often recommended to help improve vision after eye surgery as your eyes heal best while you’re sleeping. As such, frequent naps are recommended by many ophthalmologists after eye surgery to aid with the healing process. The most important thing to aid the healing process and improve vision after eye surgery is to not touch, rub or scratch your eyes at all, no matter how itchy or uncomfortable they get. The most common medication prescribed after eye surgery is anaesthetic eye drops which will help with the scratchy feeling and keep your eyes lubricated. Depending on the type of surgery, sometimes antibiotics will also be prescribed. For pain and discomfort, normal over the counter pain killers can be used to aid with this. Ask the pharmacist for ibuprofen or aspirin as both are effective at targeting the pain associated with post eye operations. In summary, immediately following your eye surgery, your vision will be blurry and often you will need someone to drive you home after surgery. Following this, within 24 hours you’ll notice a huge improvement in vision after eye surgery and often by this point, some of the discomfort will start to disappear.